Inner city Sydney seem to be full of construction sites building apartment blocks, or converting old buildings into them. 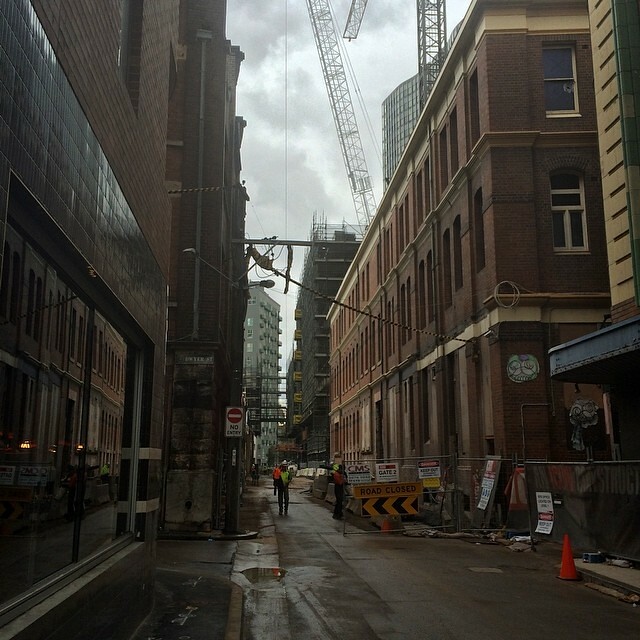 Here is a shot of one construction site squeezed between buildings in Chippendale, with cranes overhead. This entry was posted in Photos and tagged construction, photo, underconstruction. Bookmark the permalink.